Hi Readytoretire, can we get an idea of your current annual expenses? And would you expect those to be roughly the same if you retired, or would the nomad lifestyle increase them? I will receive about $40000 in Social Security & $20000 in RMDs in 2016. Do I have to pay estimated qtly tax payments or face a penalty? Readytoretire - First, I wish your husband the very best. Assuming favorable tax implications, I would treat the family property money as an annuity and go be a nomad. (Note, this is more of a lifestyle answer than a financial one.) There is a general rule that if funds are to be used within 2-3 years, they should not be invested. Readyto retire, while we are addressing other questions, one quick point I want to make is: Cash in excess of emergency fund could be a drag. So, keeping the entire 90K family property proceeds as cash appears not the right decision. Of course, it depends the answer you give to Russel regarding your 'expenses'. Dr. Steve - You could ask both SS and whoever is sending you your RMD to withhold the appropriate taxes to avoid estimated taxes. If you use an accountant, ask for their opinion on the amount to withhold. Reatytoretire - I want to live as an international nomad as well! Keep what you need to take care of yourselves and travel and invest any excess. You have long lives ahead of you (30+ years) so I'd be looking to invest for the longer term. You may choose to invest the excesses a little more conservatively to get your overall asset mix towards 60/40 or 50/50 depending on your long-term spending needs. I recently left my full-time job and am now self-employed. What should I do with my 401(k) from my old company? What are the tax implications? I have a Roth IRA, but haven't opened any other retirement accounts yet. Thanks! Hi SH, in most cases we tell people to open a Rollover IRA (probably at the same place you have your Roth IRA) and roll over the 401k there. 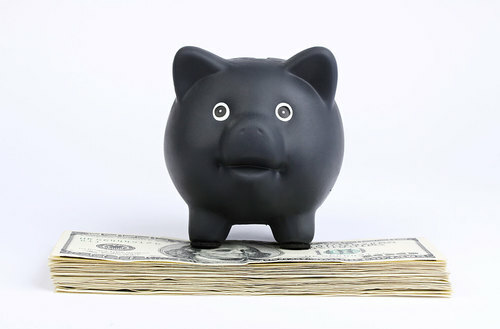 There are no tax consequences for a rollover (*edit* - but you want to make sure that it's done properly - either moved directly from one company to another, or if you receive a check for the 401k proceeds, make sure to deposit it immediately). For tax implications Q, if you rollover to an IRA or a new employer's qualified plan, you will not have any immediate tax implications. Also consider option 1 in my post where in fact you may have a tax advantage if you have employer stock in your 401K. 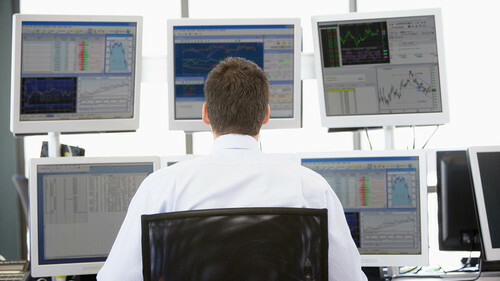 what are your thoughts on robo advisers in this economic environment. Hi SH - You have the option to roll the 401k over to an IRA or keep it where it is. You, most often, will have greater investment options (and maybe less expensive options) by rolling it over to an IRA. If you roll to an IRA, there are no tax implications. Unique Financial AdvisorsWhen leaving a job, should you consider requesting a lump sum distribution of the funds from your ex-employer’s plan? What are the pros and cons, if any? Joe - As a "live advisor" I'm not sure I have an impartial view, but I think many robo advisors do a fine job in any economic environment. My biggest question is whether robos will be able to hold hands and keep clients on track through normal (and extreme) market fluctuations. Hi Joe W, in my humble view, robot advisors are not 'listeners'. Thus, could compete in 'executing a plan' to some extent. However, planning for your unique situation, you are better off approaching a human advisor, who listens to you and possibly customizes the plan to your unique needs. Hi Joe W., my personal concern with robo advisors is that there is no one for an investor to turn to during a market drop to keep them on the course (and keep them from making decisions they may regret later). It's not the robo advisors themselves, I think, but the behavior of investors that use them. shares at a cost of $1,000. Then I sold an option on that stock for $100. $900 when I eventually sell the stock? I may not sell the stock for 5 years. Or do I report the $100 as income in the year that I was paid it? Joyce, perhaps info in this post could help you. MarketWatchFor individual investors out there dabbling in publicly traded stock options for the first time, here’s how these securities get taxed. Joyce - This is a good question for your tax professional, but I think you'll be able to find a solid resource online if you look around. Nolo.comLimited liability companies combine the best parts of partnerships and corporations. Sis - An LLC is a limited liability corporation and is one of the easier corporate structures to establish. All income reported to an LLC passes through to your personal tax return (with no corporate tax) and there is no need to file separately for your taxes. An LLC also provides some legal liability but I'm not sure to what extent. Sis, this is the kind of thing you want to review with a CPA. But know that you can file for an LLC online. I often use 4inc.com but nolo.com and other sites will work. When you are a 1 person LLC, you can be treated as a sole proprietor (default) which means you can include the business on Schedule C on your personal return. Or, you can elect a Subchapter S corporation for tax purposes (this has to be actively elected). If you go Sub S, you will have to have a official payroll and file quarterly reports and make regular tax deposits AND you will have to file a separate tax return Form 1120S. Hi Sis, I will answer first question: LLC comes in two flavored: 1) Single member (a.k.a. Disregarded) and 2) multiple member. As a single member LLC, you can continue to file joint tax returns and for his LLC, he will just file a Schedule D. I am not a tax professional, so please do verify this information with you accountant. What is the current thinking on SS now that ‘file and suspend’ is ending for those of us turning 66 after 5/2016? I expect the advice will be to make a restricted filing for the case for a married couple, … husband turning 66 in 1/2017 and wife 66 in 5/2017, with the husband’s SS benefit at maximum and wife’s SS approx. 50% of the husband’s. Wife files @ 66. Husband files a restricted claim against wife’s SS, then husband takes his at age 70. Sis, also remember that while an LLC does provide some liability protection, the best protection is good business liability insurance. Harry - I believe you're on the right track. By maximizing the husband's benefit you not only pick up the delayed retirement credits, but also create a higher survivor benefit for the wife if she survives the husband. In the meantime, by taking the spousal benefits under the wife's benefit, you also get some cash flow for four years until the higher "own" benefit kicks in. I would visit a financial planner who uses detailed Social Security Analysis software. This is still a very complex decision and depends on each individual situation. Maximize My Social Security and Social Security Solutions are two software providers that assist with this analysis. Harry - Every case is different and the "optimal" plan depends on a number of factors. We use software for our clients and run a number of scenarios to determine a recommendation. You may want to check out Maximize My Social Security's tools ($40). That being said, I think you are on the right track and filing for a restricted claim might be your best bet. I would like to update my heating system in my home with solar panels that heat the liquid in in-floor heat when the sun is shining, and then the propane will kick on when the sun isn't shining. Will that qualify for the tax break, and how do I know what proof I need? Is the break good as long as it is installed by December 31, 2016? www.kiplinger.comProsper from the move to solar power thanks to falling prices, flexible financing and a generous federal tax break. CT - According to TurboTax there is a 30% tax credit on EnergyStar approved solar panel installations through 2016. That means you can take 30% of the cost of installation as a tax credit which is a dollar for dollar reduction of your tax bill. 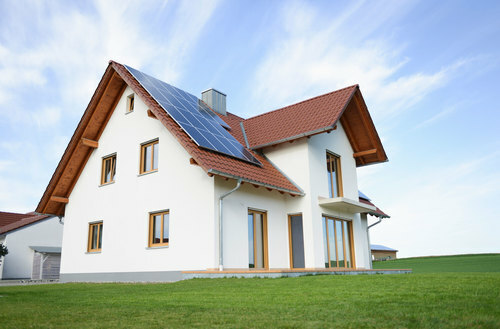 To encourage Americans to use solar power, the EPA and the Department of Energy offers tax credits for solar-powered appliances. 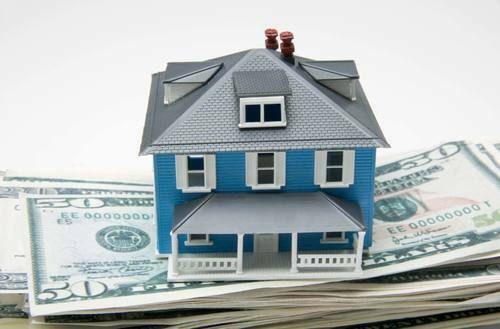 www.kiplinger.comCash in on your next home upgrade. CT - One more thing. . .make sure your state's utility isn't part of the trend in the West that is eliminating the 'net metering' standard that has been in place for many years now. If you're not sure what that means, you should search online for some articles on the 'net metering' challenges. Note: The Consolidated Appropriations Act, signed in December 2015, extended the expiration date for PV and solar thermal technologies, and introduced a gradual step down in the credit value for these technologies. The credit for all other technologies will expire at the end of 2016. Hi Bob C., I've had several clients buy back service credits, and in most cases it's a great decision. From your description it sounds like a good idea for you too, assuming your wife has a normal life expectancy. It would be even better if her pension would pay the same amount to you too, if something happened to her (100% joint / survivor benefit). Bob - We've run these numbers several times over the years and buying pension credits has generally been a pretty good deal if you live long enough. I ran a (very quick) calculation and see that making the purchase will be a good option if your wife lives into her late 70s. Bob - The financial analysis seems to indicate that the break even point for recovery of the lump sum is about 13 years depending on the interest rate applied. I agree with the others that it seems like a good decision if she lives past 75 or so. Bob-I agree that this sounds like a good deal. On thing we also like to look at with Pensions is the cost of the survivor benefit vs. the cost of buying life insurance on your wife. Many times for clients in good health the cost of insurance is less than the difference between the straight life annuity and one with a spousal benefit. DB-Any brokerage accounts or stock/bond holdings with unrealized capital gains? Also, what do cash balances at the bank look like? How much do you need to supplement income annually? Bob, let's look at this. 35K now inflated by 2.5% would be 40589 by her age 62. So that is the true cost of the 300/mo income stream. Now 3600/year divided by 40589 is 8.8% payout but you get nothing back if she dies early and you don't have a survivor benefit. If I use her planning age as 82, I get a 6.4% return and it is virtually guaranteed IF the plan is in good financial shape (which I would research). 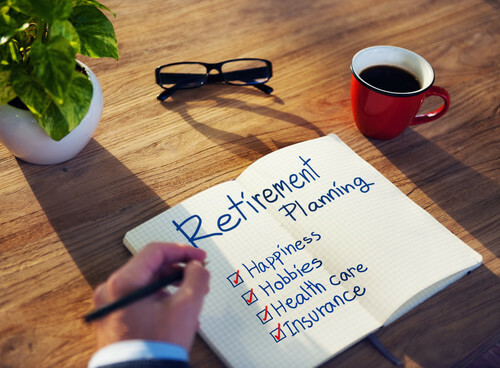 You may want to delve into survivor benefits if this is a large part of your joint retirement income. But, although as NAPFA members we don't use insurance unnecessarily, I agree with Allison on the possible TERM life insurance. For instance, I recently had a client where we were able to replace the survivor benefit with 2 term policies (one 10 year and one 20 year) and the cost was HALF that of what the reduction in the benefit would be if they had elected a survivor benefit. This basically saved them over $1000/month. As you can see, some good planning with an experienced planner might be well worth the amount you would spend. DB - If you're going to pull money from your 401(k) to both live on and convert some to the Roth, that will increase your taxable income. You don't tell us what you need for lifestyle, so we're left guessing a little bit. Normally I tell clients to take from the Roth IRA bucket last or for one-time expenses, like a new roof for the house. That way, they don't have to gross up the net amount for income taxes. Bob, while it is hard to analyze this in light of your overall situation, here is some basic math. Calculating for 20 years from the age of 62, your $35,000 today @ 5% growth yields $128,079 while your $300/ month pension from 62 over 20 years yields approx. $123,824. I am in no way suggesting you should run with these numbers. But, these should give you an idea that the key factor for you to make the decision is: to expect life expectancy as accurately as you can and then do the math (perhaps using a calculator ). Or even better seeking professional help from a Fee-ONLY NAPFA advisor..